If you thought the Tecmo Bowl version of Nebraska’s Hail Mary victory over Northwestern earlier this season was something else, Auburn’s miracle win over Alabama on Saturday is even better. 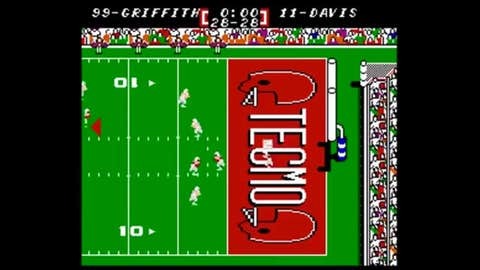 In true Tecmo Bowl fashion, Tigers DB Chris Davis weaves through and past a wave of Crimson Tide special teasers en route to his game-winning TD return. Davis’ return is positively Bo Jackson-esque — highly appropriate considering that Jackson, widely considered the greatest player ever in both Auburn and Tecmo Bowl history, turned 51 on Saturday.